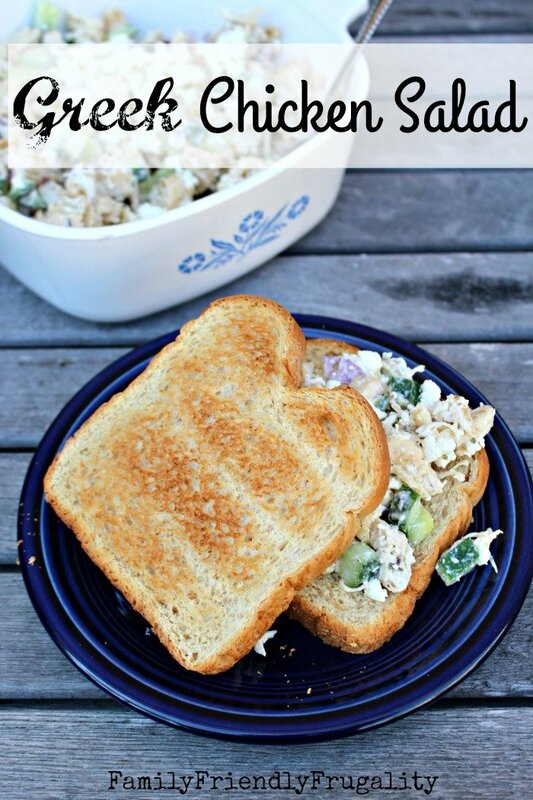 Do you love chicken salad? 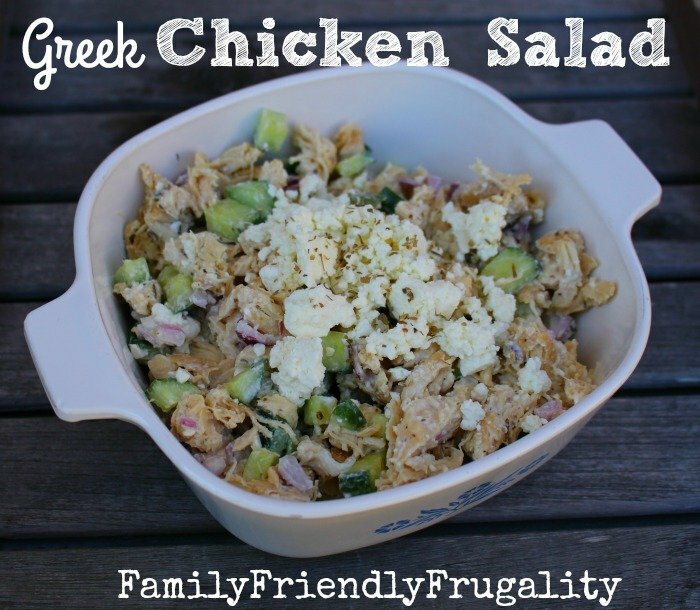 If so, you’ll love this Greek Chicken salad! This is great on crackers or on toasted bread. Mix oregano, yogurt, lemon juice, garlic and cheese together in a large bowl.